1. Counter-puncher Carlsen: Peter Heine Nielsen shows how, cool as ice, the world champion seized his chance against Caruana in the IoM. 2. Calculate correctly: test your calculation of variations with Oliver Reeh in his interactive tactics video! 3. The improved Grand Prix Attack: let Simon Williams enthuse you for 2.Be2 against the Sicilian. 5. 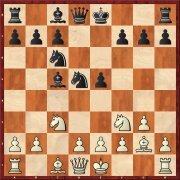 Drum roll with a long echo: Max Illingworth sums up what Grischuk's 6...Bc5 has set in motion in the theory of the English Opening. 6. What's new in the King's Indian Attack? Let Igor Stohl bring you bang up to date. 7. Surviving despite -+(4,84): David Navara explains how he saved the draw with a rook against a queen and despite being a pawn down. 8. 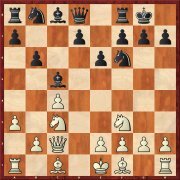 Attack, attack, attack: let Aronian's second Ashot Nadanian show you how the Armenian notched up his first win in the World Cup final. 9. Doubled is better: find the diversionary motif in Khalifman-Ehlvest from the FIDE training course of Efstratios Grivas. 10. World Cup decider: enjoy one of the most spectacular tiebreaks in Daniel King's video analysis! 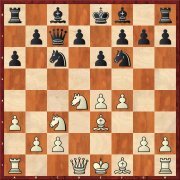 In his chronologically structured article Max Illingworth examines the meteoric development of the move 6...Bc5 from its first appearance amongst the world elite (Grand Prix Geneva, July 2017) till the spectacular games from the World Cup (e.g. Dubov-Karjakin). 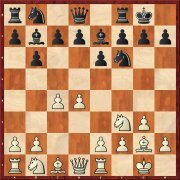 From the point of view of White the move 6.Bf4 has the great advantage that Black must play really accurately and the lines which are needed are not very well known as yet. As Evgeny Postny shows, however, Black should nevertheless be able to hold on. Actually 7.a3 is a very old move but it fell out of fashion above all in connection with 8.f4. Recently the variation has been appearing often. As Petra Papp shows, it is relatively simple for White to get an advantage in the main variation. 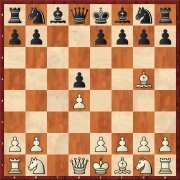 Against the frequently employed black setup with 7...Be7 and 8...a6 the useful waiting move 9.a3 has become fashionable, though on the whole not often played as yet. As Krisztian Szabo demonstrates Black does not yet have a clear route to equality despite some successes. By using this move order (first 5...Bc5 instead of 5...b5) Black avoids a rapid a2-a4. 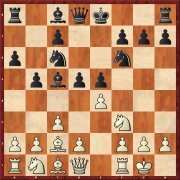 But in return the white bishop can go to c2, which in its turn allows 7...d5. 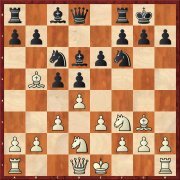 Robert Ris examines this position in depth and sees everything as being alright for Black; however he needs to know a lot of theory. 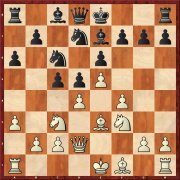 Gata Kamsky has made popular the move 8.Bb5 (instead of 8.Bd3); Magnus Carlsen likes using it in blitz and rapid chess. Lars Schandorff sees an advantage for White in most lines, with it being highly likely that 8...Be7 is the best reply for Black. 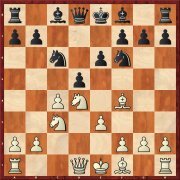 The use of the provocative 4.Bg5 seeks to get Slav players out of their usual variations. Since, as Alexey Kuzmin shows n his investigations, some lines lead to extremely original positions. The main idea of 7.Re1 consists of preventing the simplifying 7...Ne4; because 8.Nfd2 would give White a pleasant game. As well as the knight move Renato Quintiliano investigates 6 other replies for Black, none of which is completely satisfactory.